This is an very early Dutch show, announced for Wednesday 12th April 1972. "John Martyn | English folksinger." 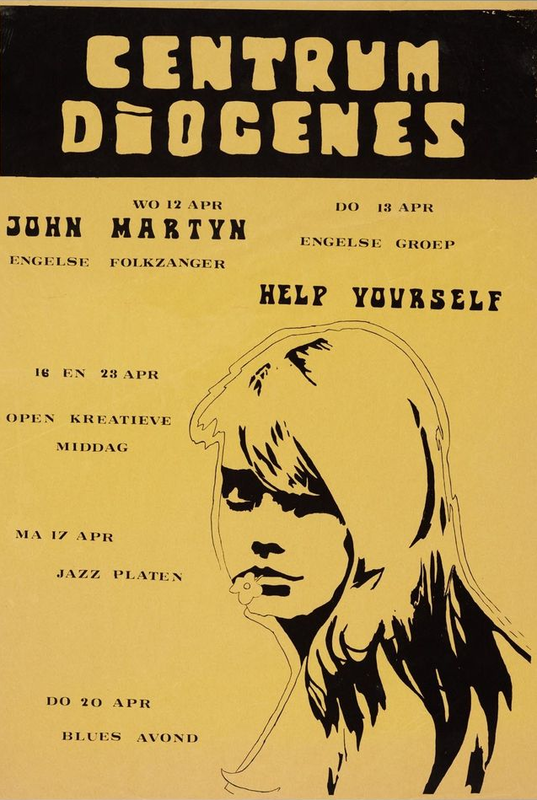 Diogenes was a well known Catholic Students Union in the town of Nijmegen, which has a relatively large student population. It was famous for its cultural activities but went bankrupt in 2005.